The police have denied that a “particular race or nationality” is targeted during routine immigration checks in “places frequented by migrants”. Times of Malta has been informed that police officers, including those in plain clothes, are stopping people they believe to be migrants, and asking them for their residence documents. Those stopped – including a British national – had one thing in common: they were black and happened to be in Marsa. 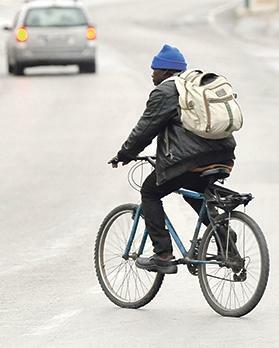 In one instance, a Times of Malta journalist was not asked for her documents, but a black pedestrian right next to her was asked to show his residence card. The British man told Times of Malta that despite providing valid documents, he was asked whether he had migrated from Italy. Sources within the migrant community expressed concern that the grounds for such checks are racial profiling. When asked for a reaction, a police spokeswoman said: “The legal obligation and duty to check on possible migrants staying irregularly requires that these checks be concentrated in areas identified to be frequented by such persons. It was necessary to check their documents to establish whether they were in the country legally, she added. Asked on what grounds were people being stopped and whether the police were stopping everyone at particular spots, the spokeswoman confirmed that this was “a daily duty” carried out all over Malta and particularly in areas known to be frequented by third-country nationals. Some weeks ago, Prime Minister Joseph Muscat asked the Home Affairs Minister and the Police Commissioner to step up patrols at Marsa after residents complained of lax public order. However, earlier this year he told residents that the integration of foreigners begins at community level. While the government was not trying to escape the reality of these tensions, residents must not allow far-right groups to ride on such sentiments, he had said.